The Miller Spectrum 625 X-Treme with 20 ft. Torch, Consumables and Roller Guide packs big cutting power in a small package. 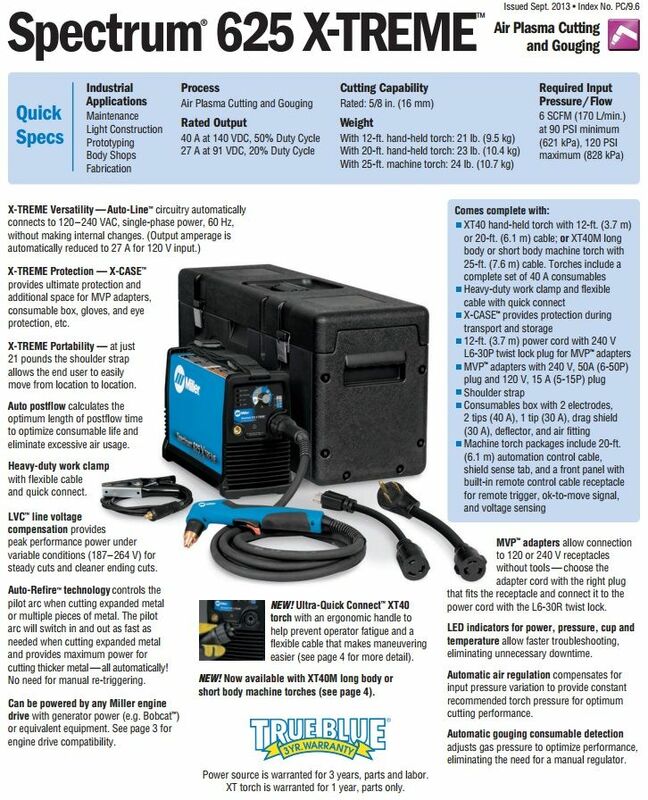 The industry's most portable and powerful 40-amp plasma cutter offers 5/8 in. 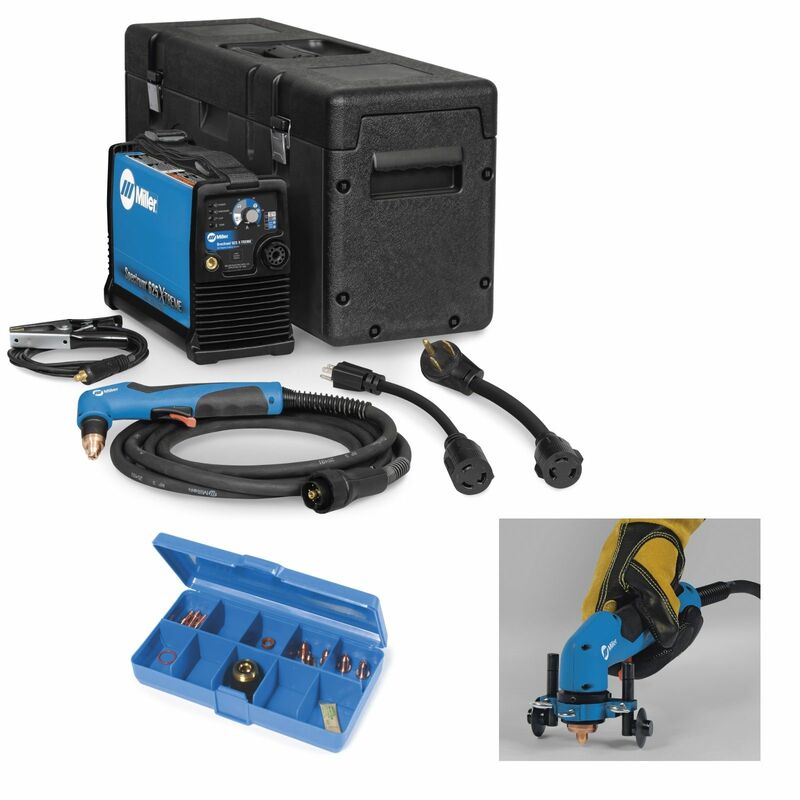 mild steel cutting, easy connection to 120V or 240V input with Auto-Line technology and MVP Adapters. This kit includes the Miller Spectrum Roller Guide (253054) and Spectrum Consumables Kit (253521). 5 stars - "Miller Spectrun 625" Kenny P. Works great. I hadn't run a plasma torch for almost 30 years back when I earned a living as a welder. What a difference in the size of the machine and the Miller works just as good as that old beast.